Figure 2. 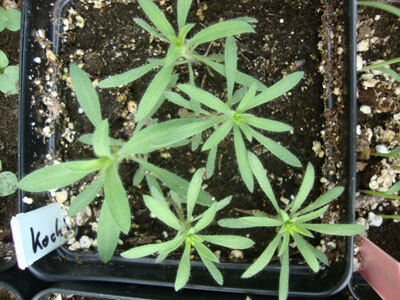 Marestail seedlings are small and can be difficult to see in the fall. (10/21/2014 photo). Producer desires to put their planter in the ground are not the only thing growing out there right now. 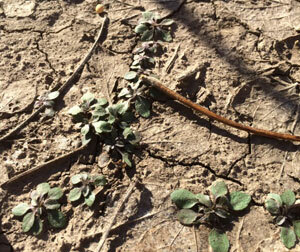 Winter annual weeds are taking advantage of the recent warm temperatures and solar radiation to resume growth and development, making this an ideal time to scout for henbit, field pennycress, tansymustard, shepherd's-purse and marestail. 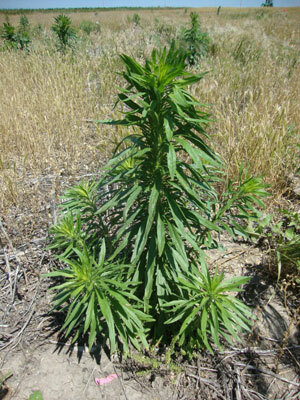 The main species to scout for is marestail, also known as horseweed. 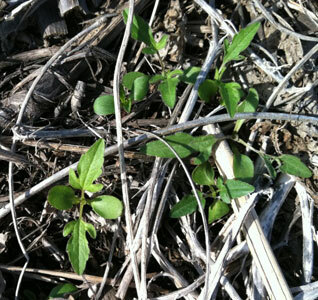 Marestail starts off as a small rosette and require special care to see if covered by crop residue. 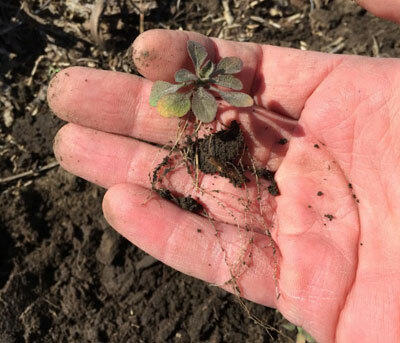 Small rosettes were noticed in between mature soybean rows at the UNL research farm in Lincoln last fall, and earlier this month the same marestail plants were still there "hiding" under the soybean residue, ready to resume growth this spring. Since marestail can germinate in the fall and in the spring, scouting is also recommended for fields that were sprayed in the fall. Identification of Winter Annual Weeds, Nebraska Extension.